We would like to give our BIG thanks to our sponsors, supporters, helpers and runners for participating in this popular and excited event that makes it a great success on 1 April 2018. Full Results of 605 finishers include Divisions’ winners and Team winners results and the Race Summary are now available and can be taken at www.hkdrc.org “DOWNLOAD CORNER” - HERE (.xlsx). Only one Winner ( WO ) who did not collect prizes on the race day. She is advised to contact us by email : enquiry@hkdrc.org ON OR BEFORE 15 April 2018, HKD 150 handling charge will be applied. Race certificates for individual division’s and teams runners are available and can be download from our web www.hkdrc.org “DOWNLOAD CORNER” - HERE. You are advised to type your names, overall positions and finishing time on the certificate for your own record. NO CERTIFICATES will be issued by us. 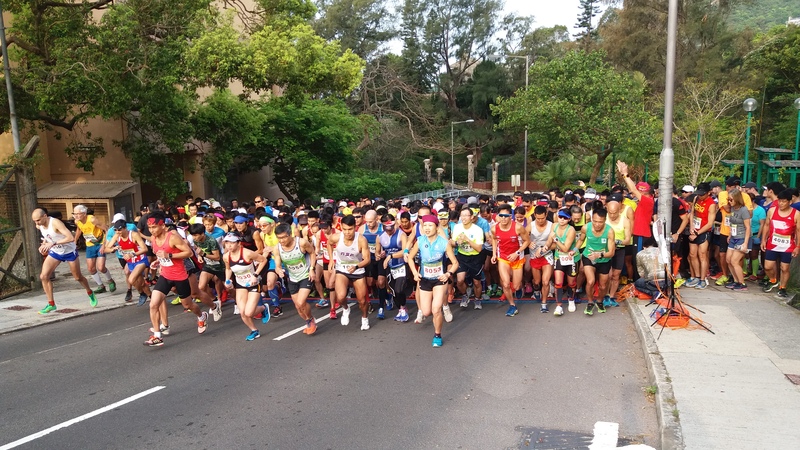 The date of the HKDRC 43rd Mount Butler ( Heritage ) Race 2019 has been scheduled on 31 March 2019 (Sunday). We commence organizing work of this race in mid-April. We shall contact existing sponsors and seek new co-sponsors for support the event. If you are interested to take part support/sponsor our event, please visit our web site www.hkdrc.org under SPONSORSHIP and contact us by email : equiry@hkdrc.org for discussion. We will invite existing and new sponsors to support and join working with us for this event. Also if you would like to be trained as a race organizer, training course and guideline instructions will be provided for you to practice and implement for the race work. Contact us by email : enquiry@hkdrc.org for schedule.